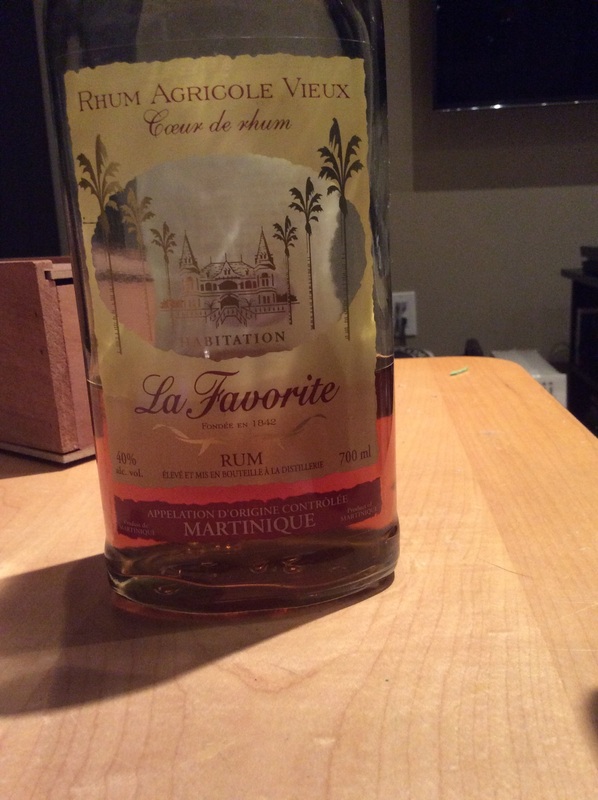 Have you found an online vendor selling La Favorite Rhum Vieux? Also called "Cœur de Rhum" (beyond Canne and Ambre), with a newer bottle design to match the others. I was already familiar with the other two, which provide quite a distinctive kick in the face compared to most other rums, even agricoles. These young ones come out swinging from the bottle, and are unmistakable in a cocktail. This one... not so much. In stark contrast to its younger siblings, this La Favorite has very faint nose. There is only the faintest shadow of the LF characteristics I have encountered. The nose is quite lovely, there's just so little of it. It does bloom a little in the mouth, but not much. The taste is mild, with detectible grass over typical aged rum notes. The sharpness is muted, making it highly approachable, but rather boring and listless (which, for a $50+ bottle, is disappointing). This rum has been diluted far too low (40%, vs. the usual 50). Watered down to within an inch of its life. I would recommend this to people new to agricoles, as it serves as kind of a bridge from other well-aged but weak traditional rums. I might also recommend this to whisky drinkers; it would probably make a killer Old Fashioned. Don't get me wrong; it's very good. Excellent aged profile. But I can't get over my disappointment for what was lost in bottling, and can only imagine the flavor that got covered up. At 50% this would be an easy 8. As it is, a 7, 7+. Light, fruity and spicy. Its a somewhat decent rhum agricole but I personally don't like this fruity taste at all. I can recommend it for mixing. Le design de la bouteille est différent, avec une étiquette noire. Au final, ce rhum est agréable mais il ne sort pas du lot. Chuť: Chuťově má zase blíž k brandy, s hodně zvláštním ocasem v dochuti, až zanechává povlak na jazyku. Jak znovu pročítám recenzi na Clément, i tam to bylo podobné. možnost ochutnat. Dost špatně se ten dojem popisuje, to je nutno ochutnat na vlastní chuťové buňky. Všechny zemědělské rumy mi z toho důvodu víc voní, než chutnají. U levnějších kousků se dá říci, že je "pachuť" silnější, u dražších a vyzrálejších je potlačena, není tak vystupující. La Favorite is a familial distillery, Coeur de Rhum is just good!